Closed-Loop DI water recycling for washing and rinsing operations in the electronics assembly industry provides operating cost savings and improves productivity. Limitations imposed on some companies, due to the availability of source water, encourages them to conserve and recycle their process water. Recovering used DI water and re-purifying it for reuse, economically recovers a valuable resource. 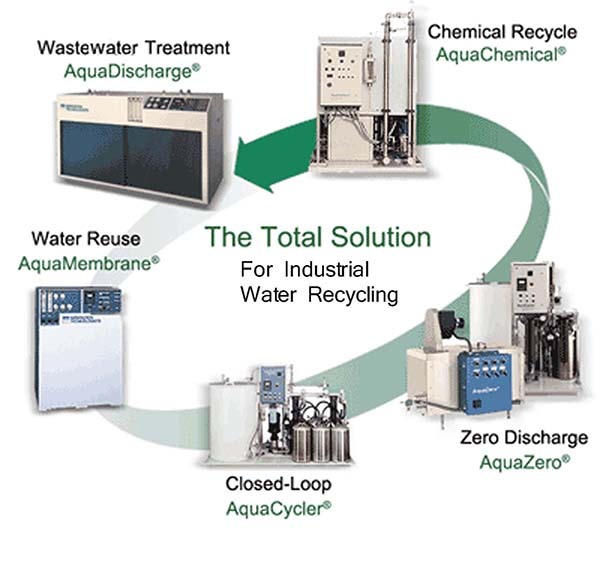 Closed-Loop water recycling eliminates discharge of wastewater and the need for meeting local discharge regulations and their associated regulatory costs. DI water recycling provides a continuous source of high quality DI water for spot free washing and rinsing of products. Separation Technologists’ AquaCycler™ systems meet or exceed the electronic assembly industry’s needs and requirements. Deionized(DI) water is used extensively in the electronic assembly area for washing and final rinse operations for the manufacturing of printed circuit boards. Typically, one tank of activated carbon precedes two or three tanks of DI resin. The carbon is particularly effective in removing organic material. The DI resin removes ionic content from the recycled process stream and produces water in the 2 – 18 Meg ohm range, for a period of time, depending on the ionic loading. With use, the media reaches its operational capacity, becomes exhausted, and needs to be replaced. Separation Technologists provides activated carbon, DI resins, and also the portable media exchange services, as well as, technical expertise for the process of making quality DI water.